It’s watermelon season! To pick the juiciest, sweetest melon, look for firm melons that smell sweet on the ends. A single yellow splotch is a sign of ripeness, but avoid melons with many splotches. 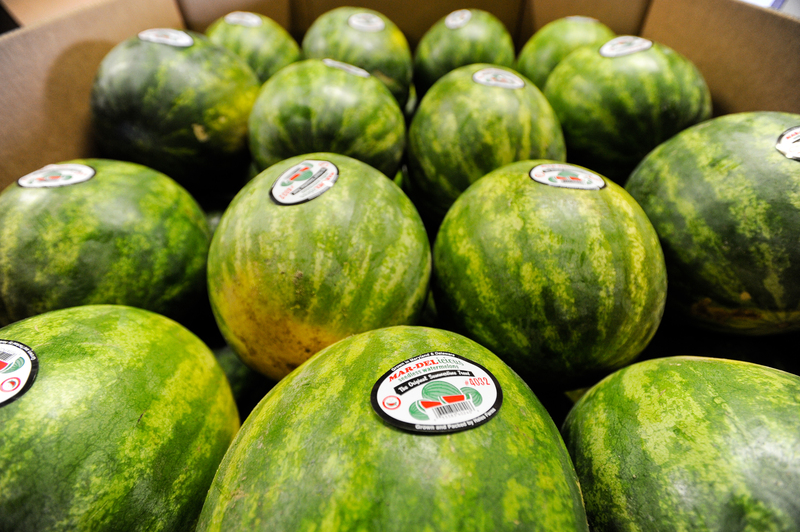 Local watermelons tend to be sweeter and fresher than imports. Watermelon stored in a refrigerator can last for several weeks. When you’re ready to eat, cut it into cubes or slices. You can store a cut melon in the refrigerator if you cover exposed flesh with plastic wrap, but try to consume in the next 3 days. Maryland has a thriving watermelon crop, and check your local farmer’s market or fruit stand for the sweet, juicy fruit!